Life happens, and over the years of owning a hardwood floor, many things can happen to it. 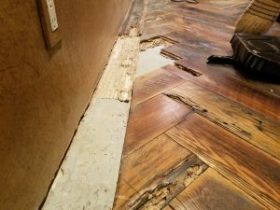 Surprisingly, considering our local climate, the most common reason we are called to repair a hardwood floor is water damage, closely followed by termite damage. In either case, we will take care of the repair for you fast and professionally. We can match over 300 species of wood, any stain, color or pattern your floor holds. 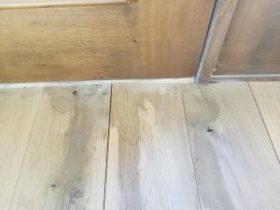 Our experienced craftsmen will isolate the repair to the damaged area, replace and/or repair it and finally blend it in to make it almost impossible to find the previously damaged areas. 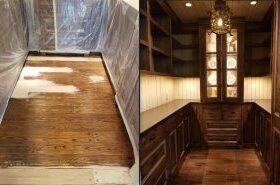 Professional repairs by Mission Hardwood Floor Co. are your best bet to restoring your floors to their original glory without replacing them. Call us today for a free, in-home consultation, we will have a solution for you promptly.